Tottenham winger Lucas Moura says he wants to show Arsenal manager Unai Emery what a good player he is after struggling under him at Paris Saint-Germain. The Brazilian was sold by PSG to Spurs back in January, having fallen out of favour with Emery in the months prior to that move. This is perhaps unsurprising as the Ligue 1 giants had just signed both Neymar and Kylian Mbappe that same summer, whilst also having big names like Julian Draxler and Angel Di Maria as options in attack. While Moura now insists he holds no grudges against Emery, who left PSG in the summer and ended up replacing Arsene Wenger at Arsenal, he is keen to prove a point to the Spaniard now that they’re both in the Premier League. Arsenal and Tottenham meet in the North London Derby this weekend, and from the sounds of it, Moura would be a very happy man to inflict defeat on his old boss. ‘I believe in my talent. In my quality. I try to show it — him — at Spurs,’ the 26-year-old told the Daily Mirror. ‘I forget the last five or six months I had at PSG. I like to think about the four years when I was very happy there and won a lot of trophies. The last year was to learn and to grow up. Now I think I’m more experienced and stronger. 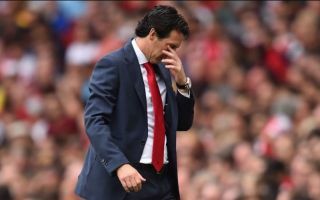 ‘No (Emery never explained why he wasn’t playing). I need to respect the decision of the coach.